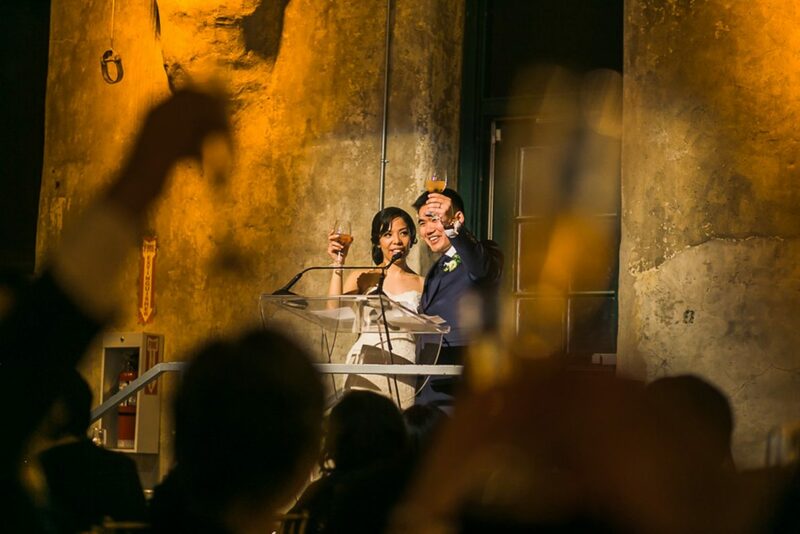 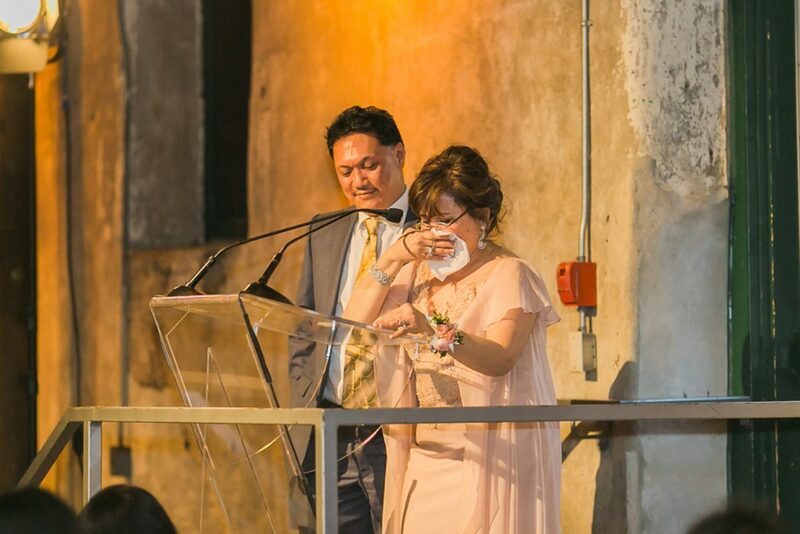 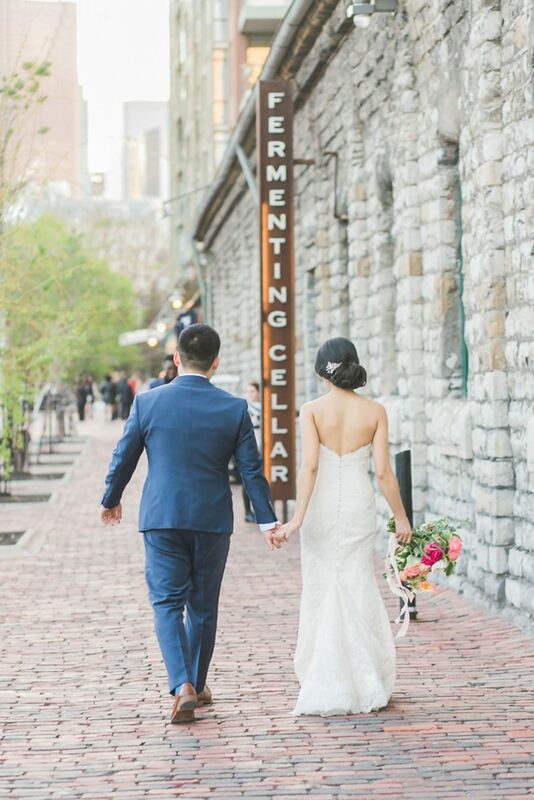 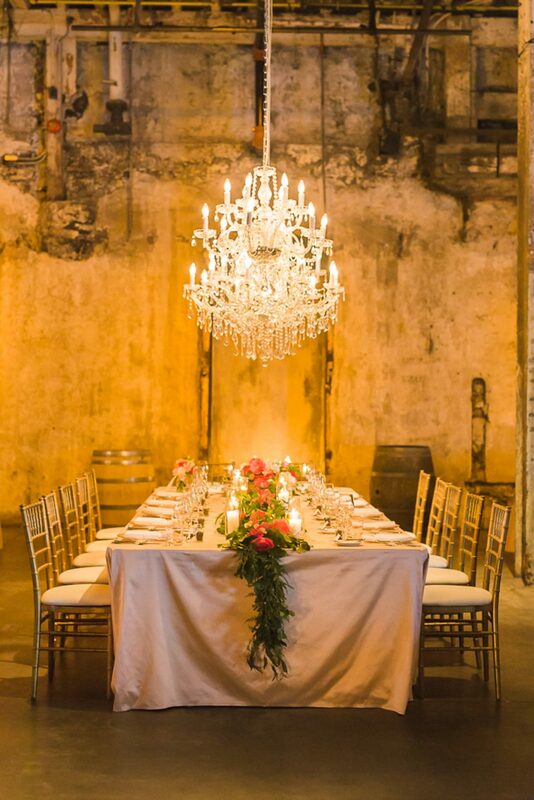 This industrial glam wedding took place inside the Distillery District at the one and only Fermenting Cellar. 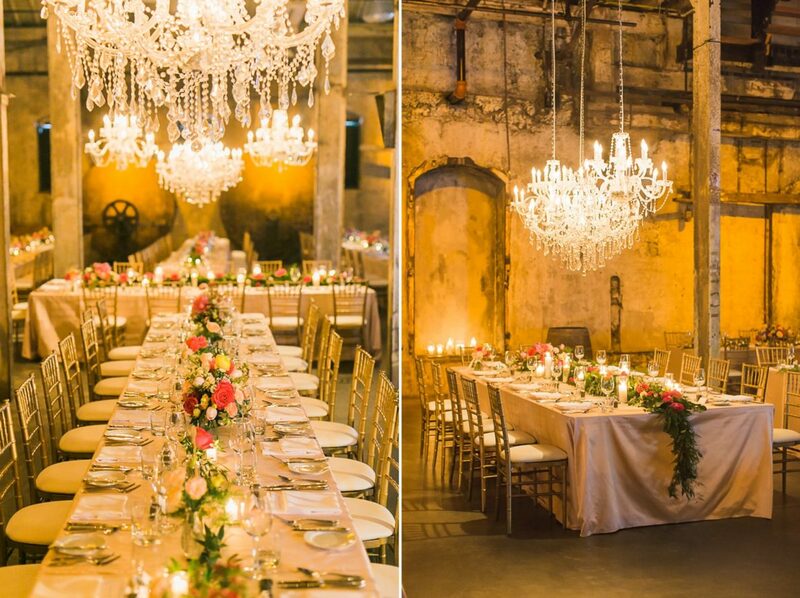 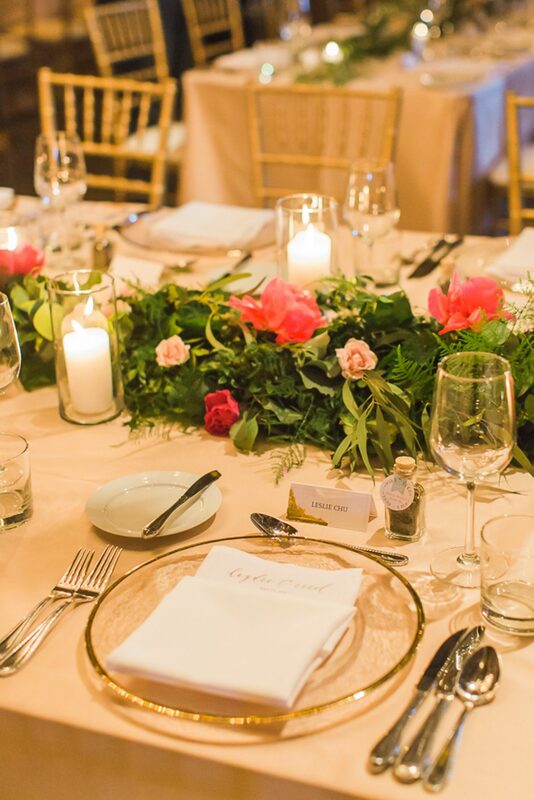 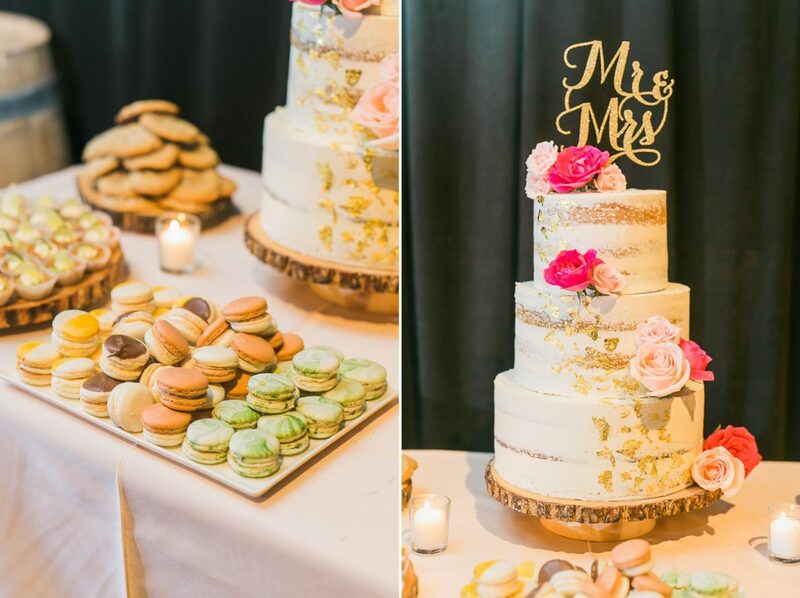 Featured inside the Wedding Bells Magazine and on the Wedding Bells blog, this glowy wedding reception is lit purely by candle light and is just absolutely stunning. 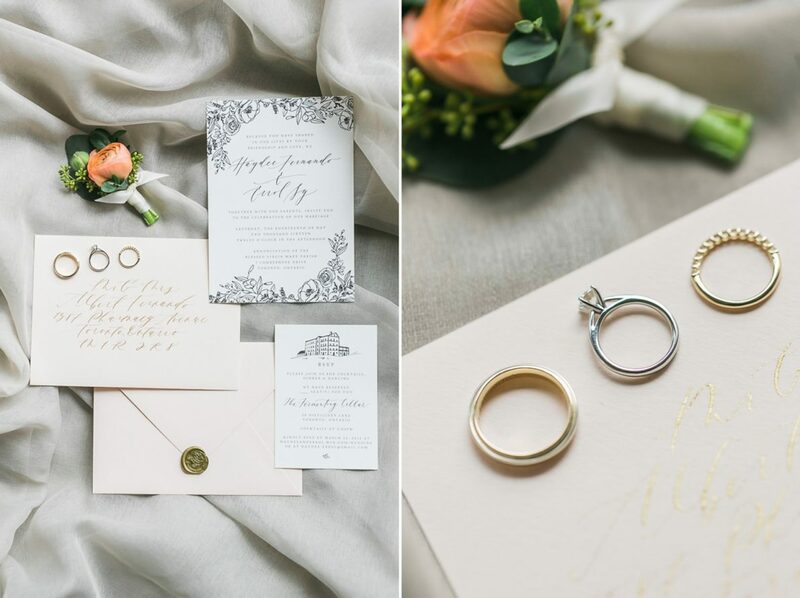 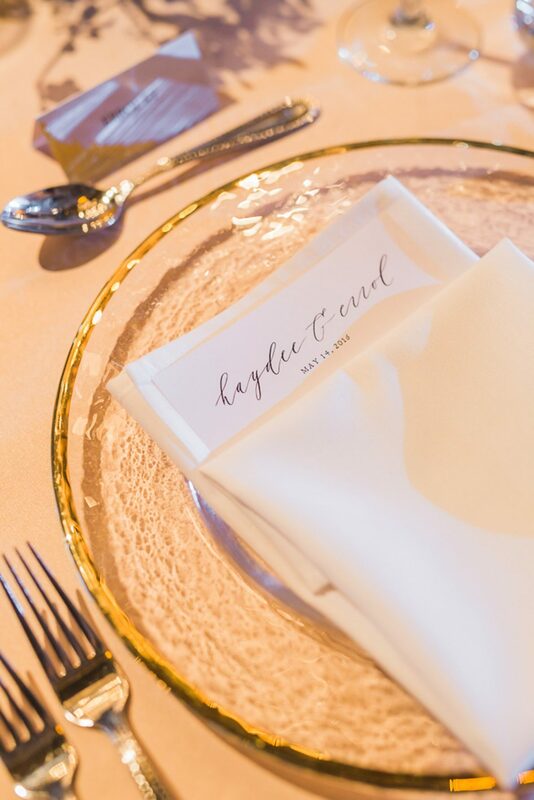 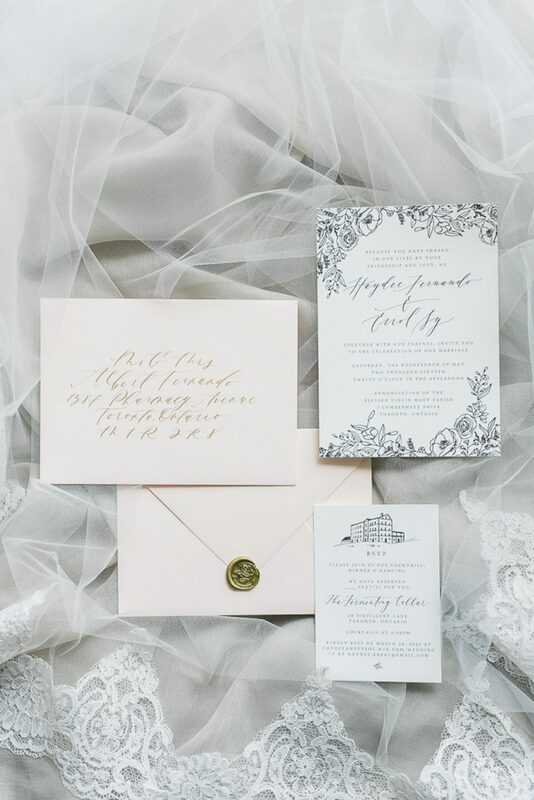 Their invitation suite designed by Paula Lee Calligraphy really sets the tone and mood for this jaw dropping affair. 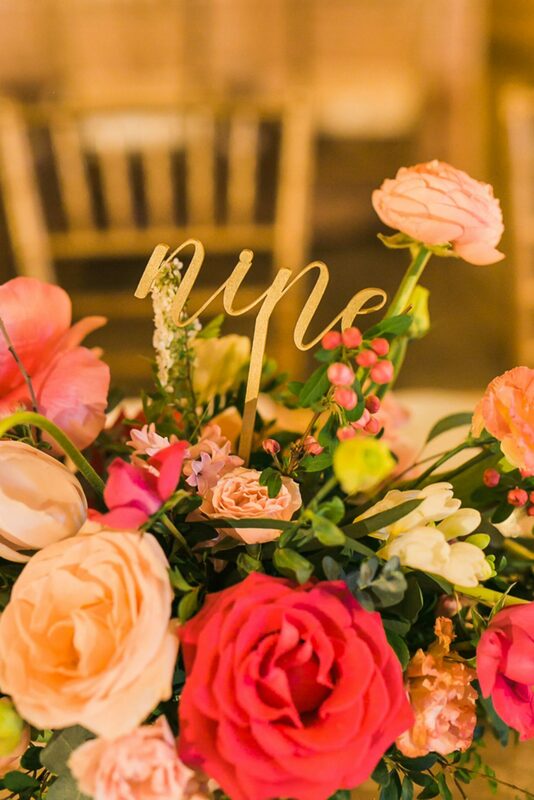 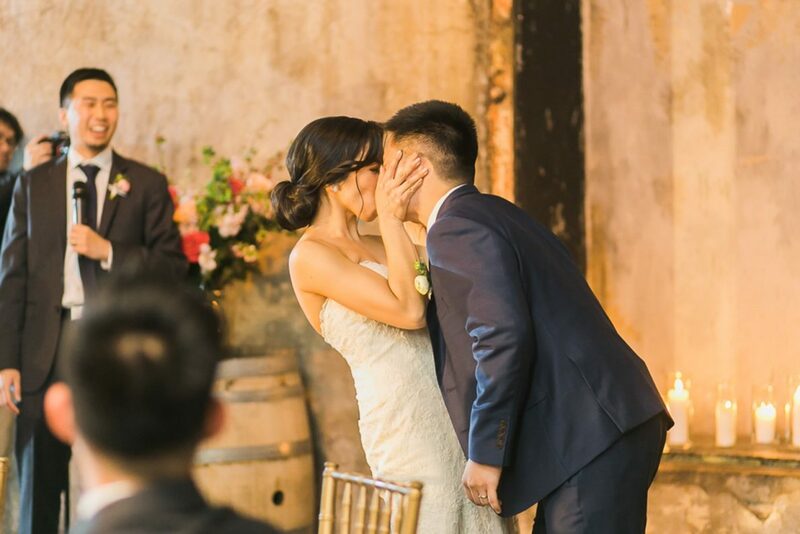 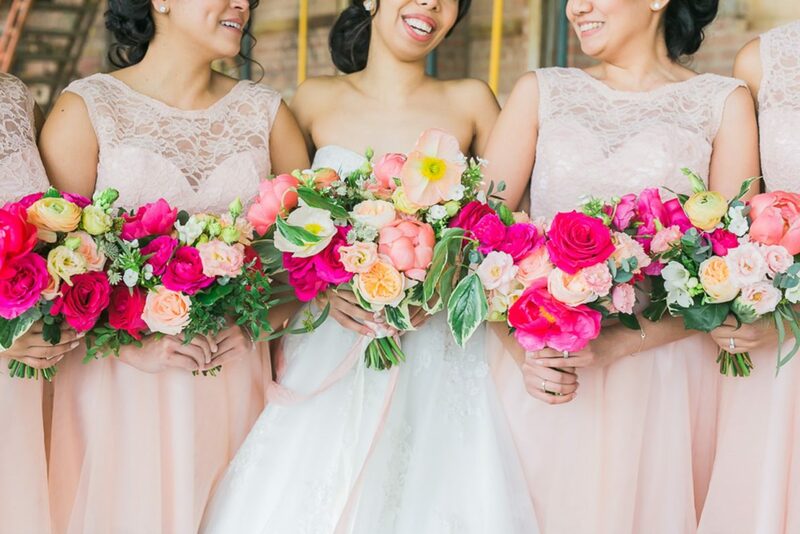 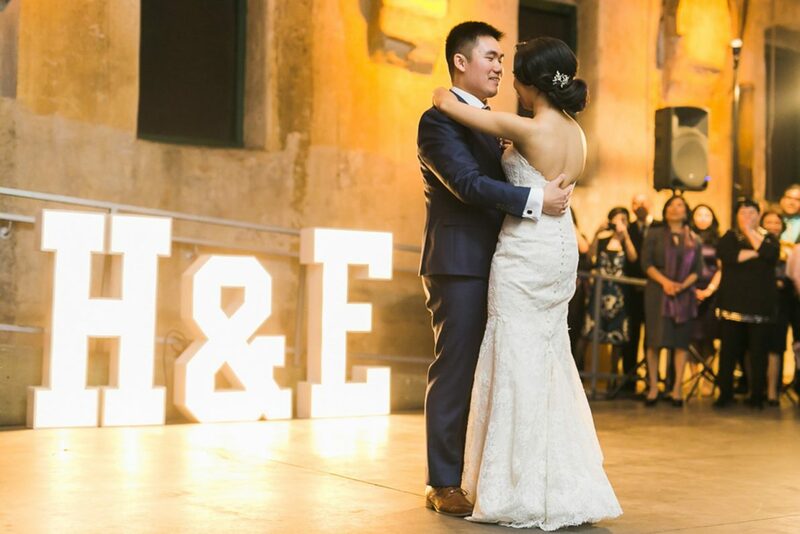 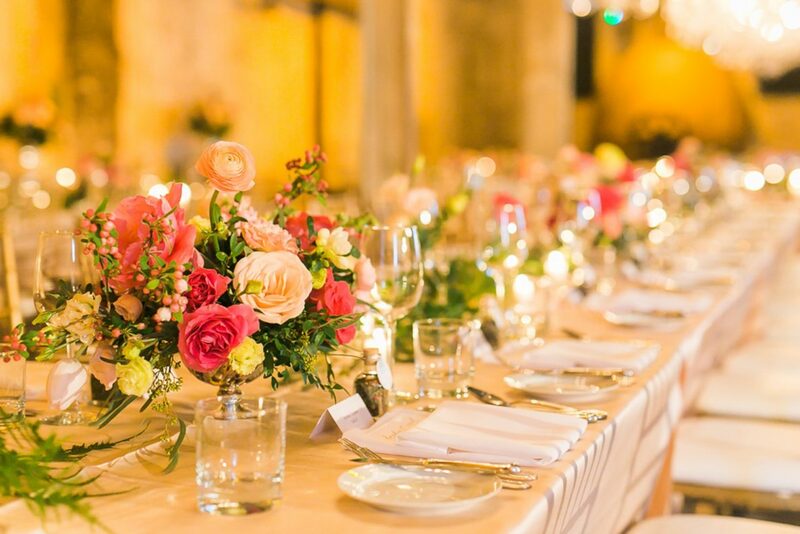 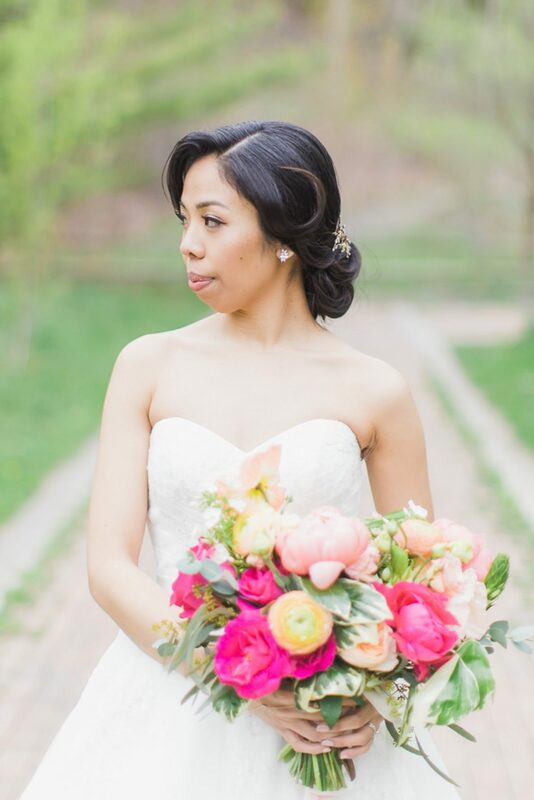 Haydee’s colour and bright bouquets from Flower 597 is such a pretty contrast to the orange candle lit environment for this Fermenting Cellar Wedding. 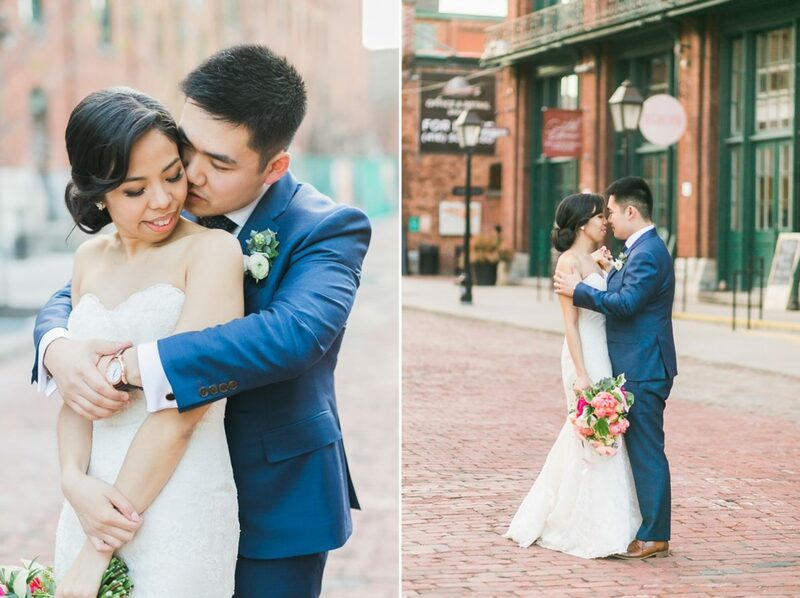 I had a ton of fun photographing their engagement session at Tobermory and honestly could hardly wait till their Big Day in May! 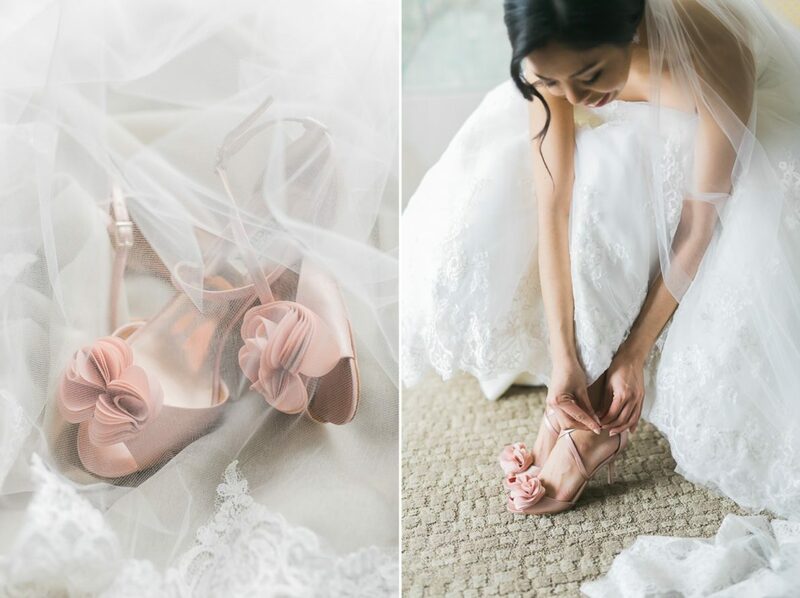 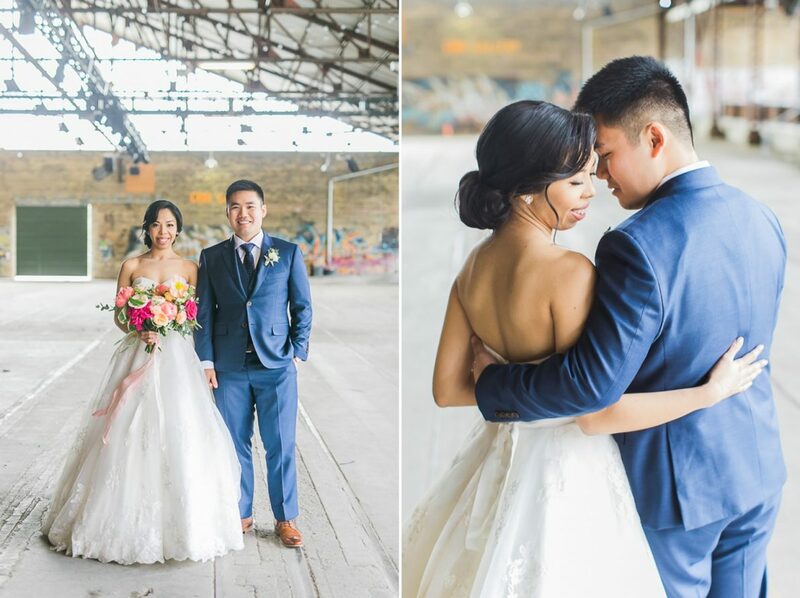 Their wedding day started off with the boys and girls getting ready in separate locations. 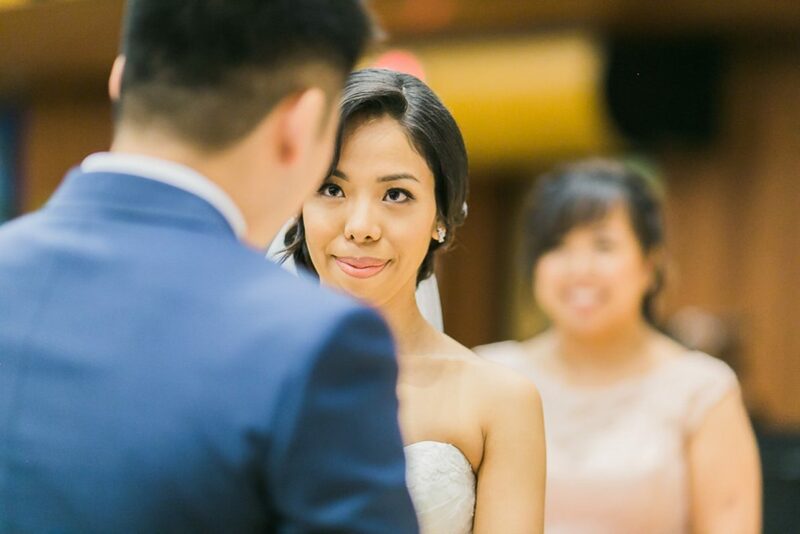 They decided that they wanted to see each other for the first time when Haydee walked down the aisle. 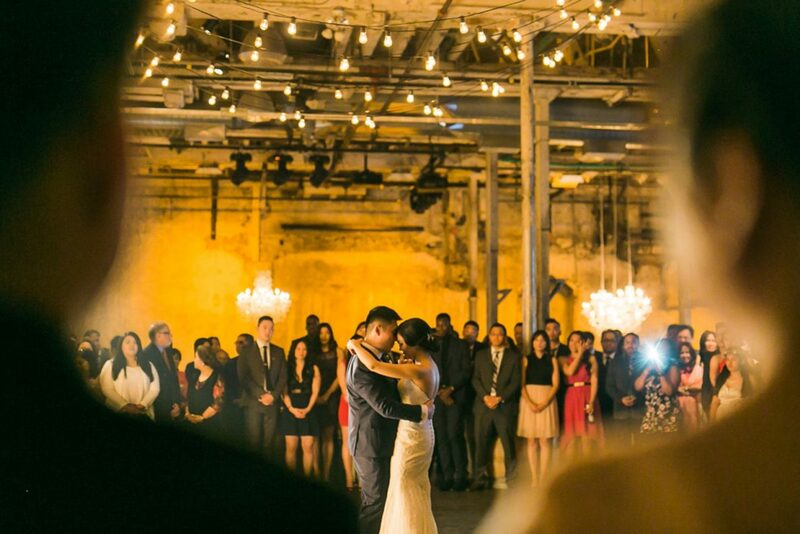 I love love love the way they look at each other, literally sparks flying everywhere! 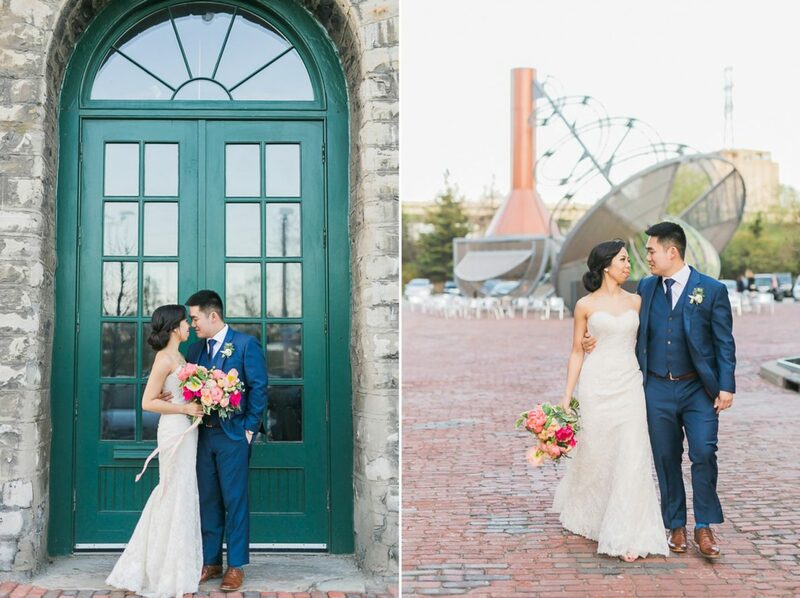 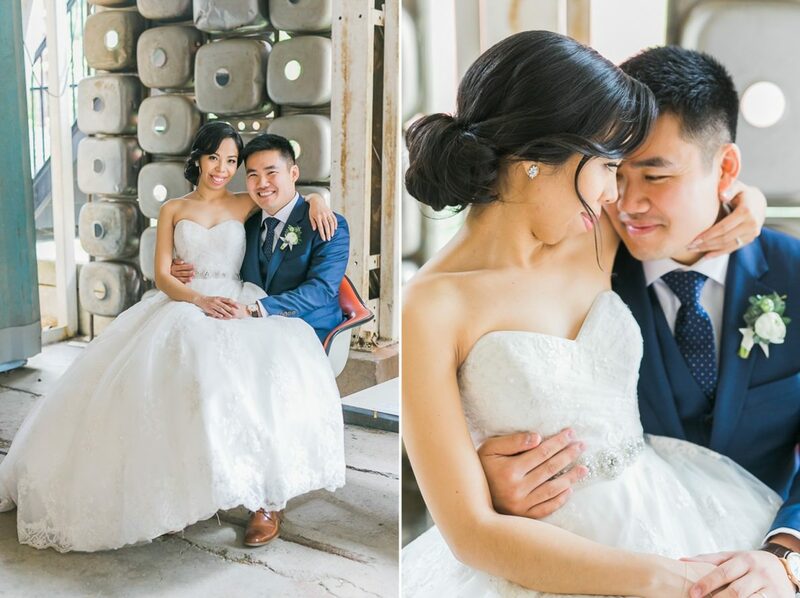 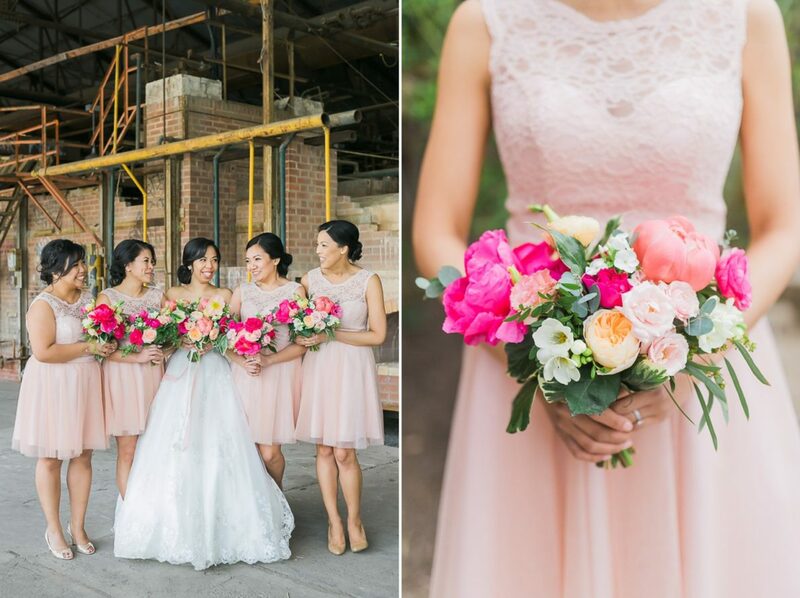 After the ceremony, we headed out to Evergreen Brickworks for their photo session. 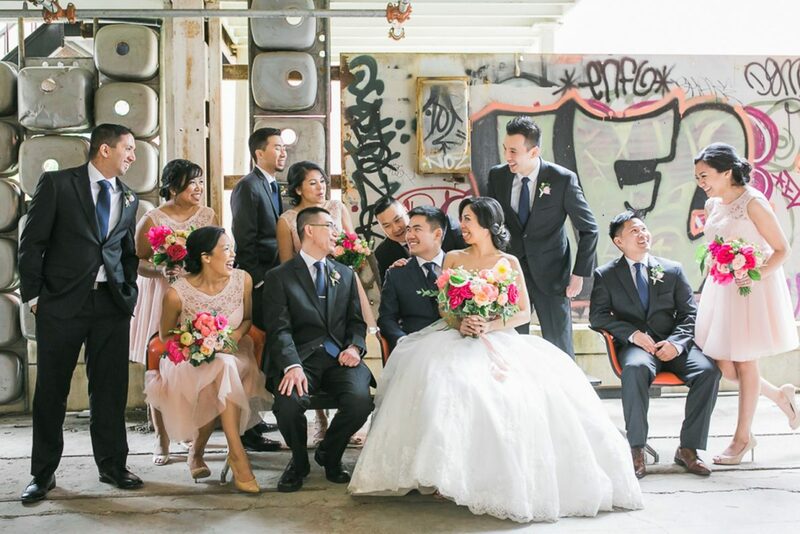 Luckily we had the place to ourselves and the permit we had allowed us to go inside the hall where the coolest graffiti is at! 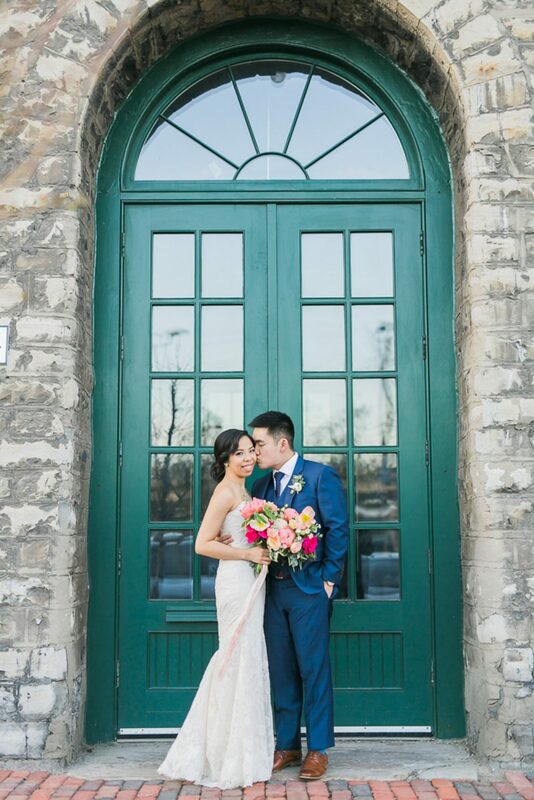 I’m pretty glad that it was a cloudy day because otherwise it would have been very very bright outside in early afternoon. 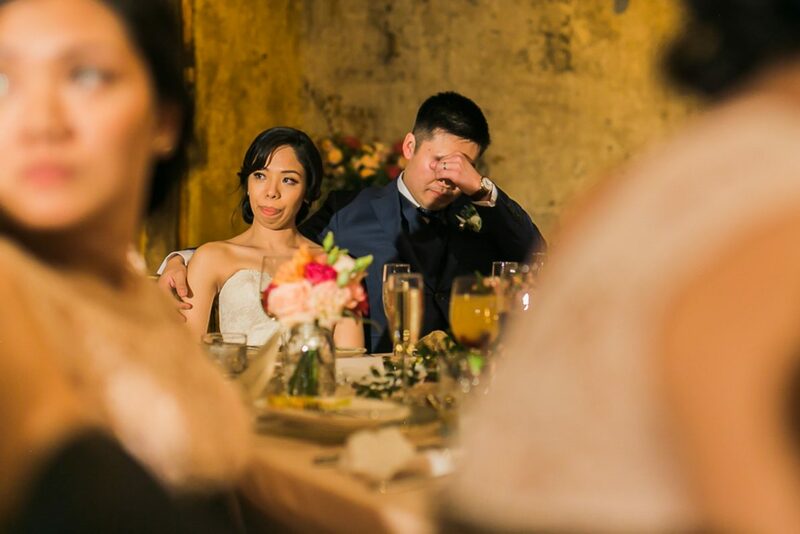 When we arrived at their Fermenting Cellar Wedding reception, all the stunning decor has already been set up and honestly I could easily spent an hour photographing everything from all sorts of angles. 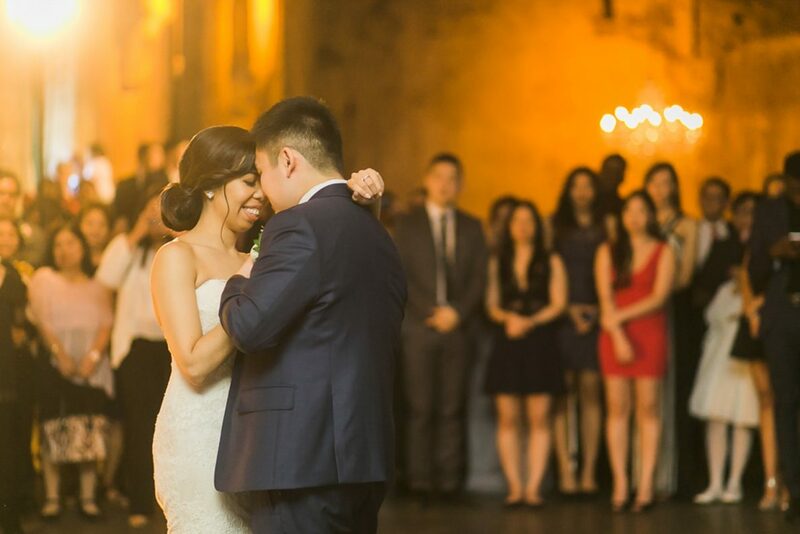 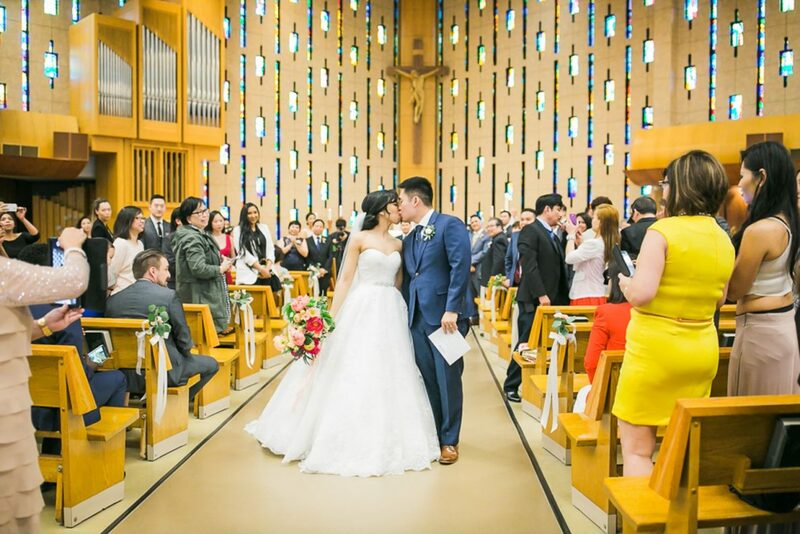 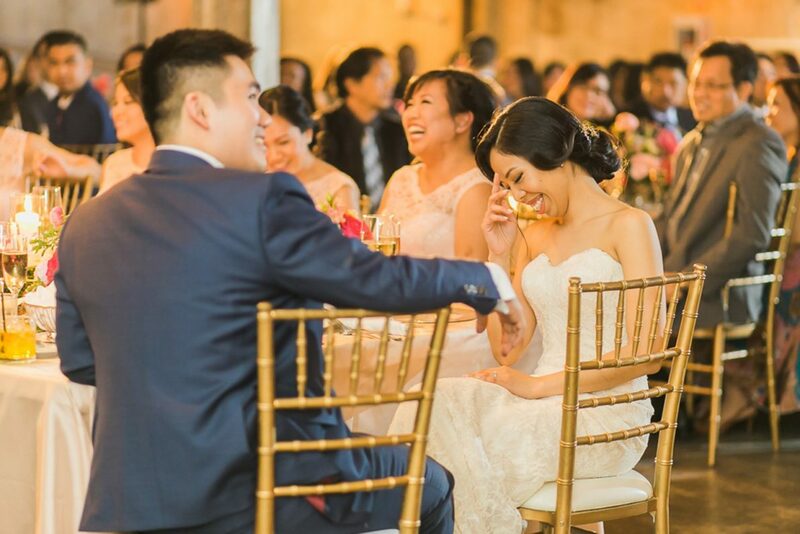 Unfortunately, as a Toronto wedding photographer, extra time is a luxury so we usually have to hustle through the details before eager guests wants to sit down. 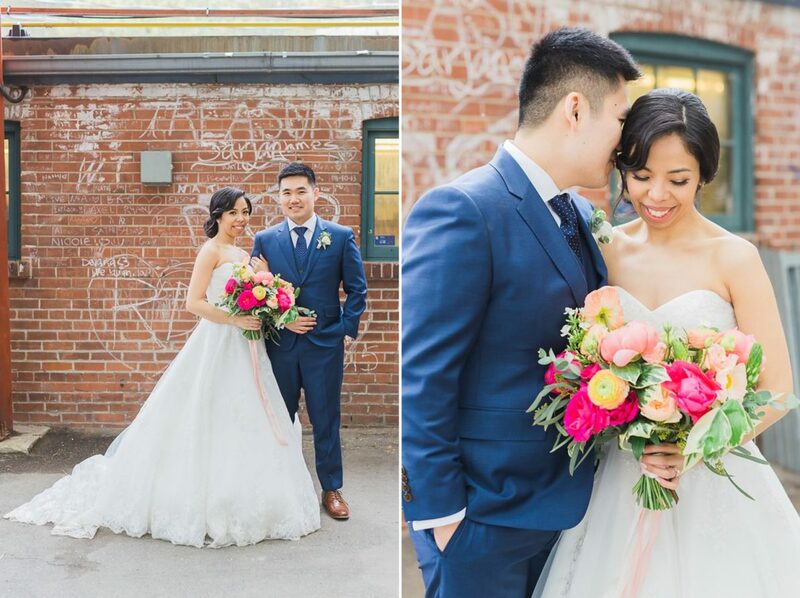 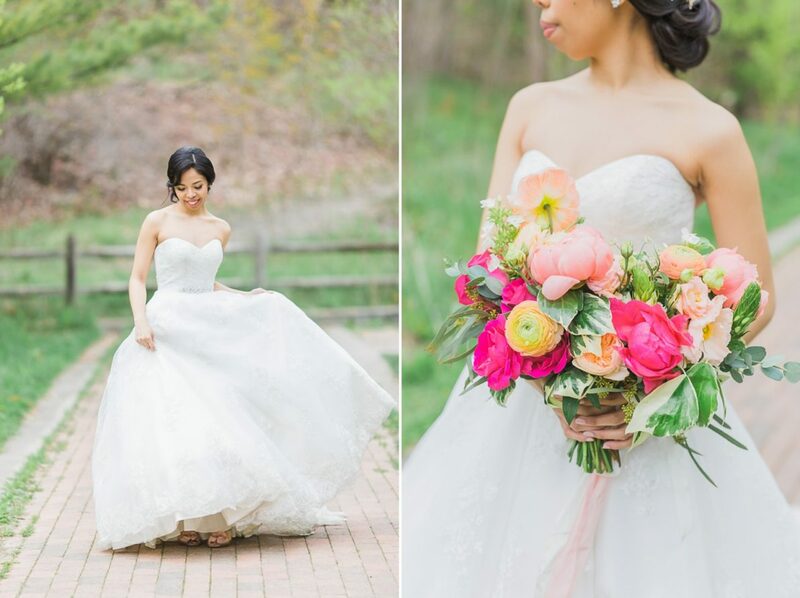 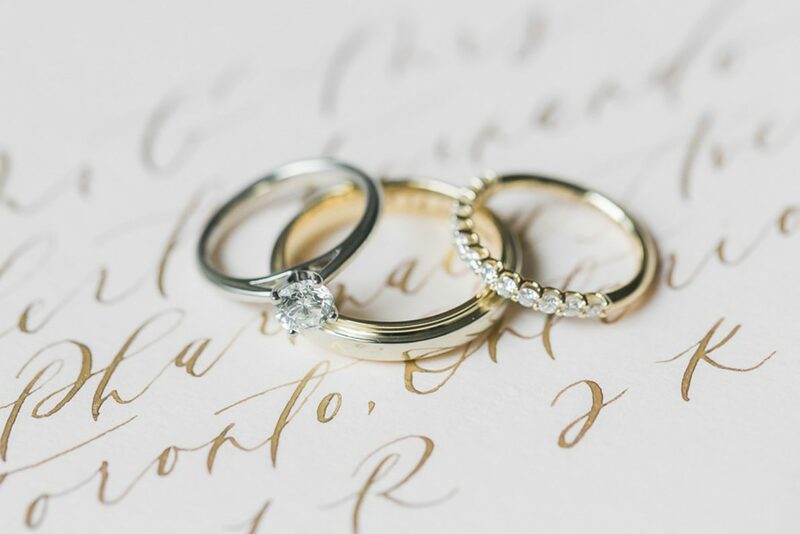 I love love love everything about this wedding and I’m dying to photograph another wedding there! 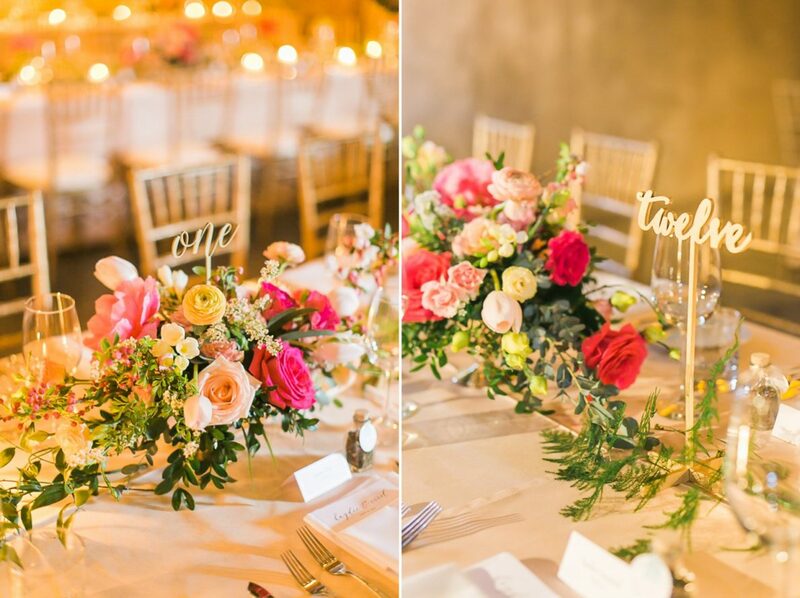 Although I love the bright and airy photography styles, when it comes to reception I’m really enjoying the candle lit receptions. 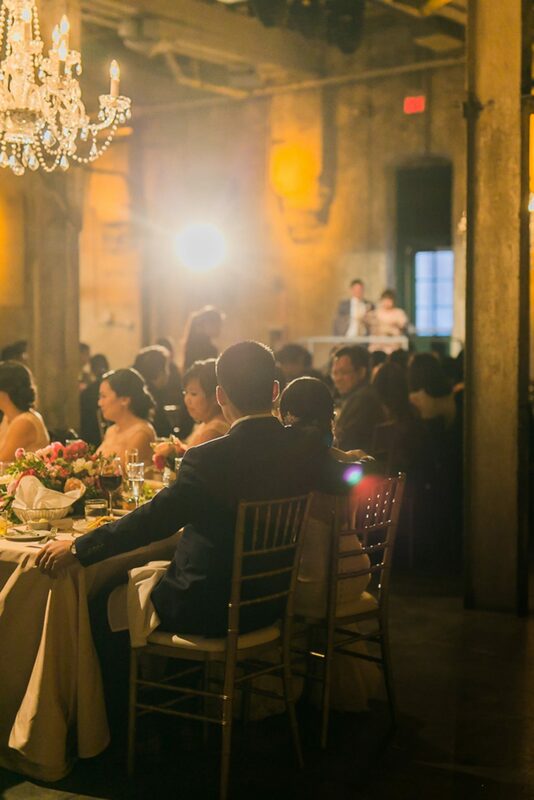 Love the mood and atmosphere it creates!